Penny Was Right Announces Debut Album! 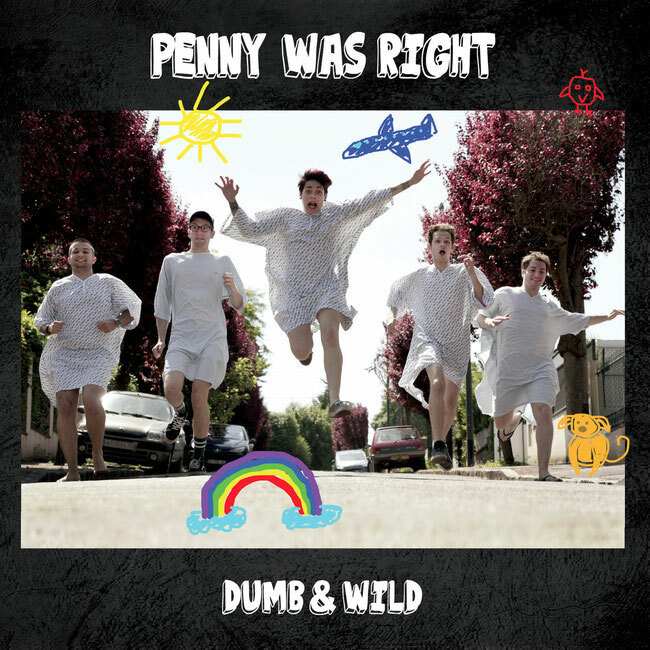 French punk rockers Penny Was Right are proud to announce that their debut album "Dumb & Wild" was released via Too Loud Records worldwide and in Japan via Disk Union Distribution. "Dumb & Wild" was recorded at TITANS LAB Recording Studio, mixed and mastered by Riccardo Daga. Mixing the punk rock energy with a pop culture directly inspired by the traditional geek and skateboarding universe, Penny Was Right is holding the torch of the genre in Paris, France. Formed in 2013 by singer Dalia Al-Shahawi, the band then quickly released a first self-titled 4-track EP, taking them to many venues in France. The band seduces the crowd with its energetic and melodic tracks in the same vein as Blink-182, Useless id or Rise Against. After a line-up change during summer 2015, the band was back on stage, opened for Wheatus at Backstage in Paris on October 18th and released a lyric video for their single “Zebra Style Losers” on December. On February 2016, penny was right released their new ep “We Were Kids” with a music video for the title-track. the band opened in Paris for The Flatliners and Bad Cop/Bad Cop on April 27th 2016 and for courage my love on June 4th. In 2017, they signed with the Italian label Too Loud Records and recorded their first full album which will be released in the next few weeks. They are now getting ready to hit the road.